Are Junior Tennis Tournaments a Social Gathering? I find it quite amusing when I attend junior tennis tournaments and see the teenagers huddled around either socializing or trying to snap a photo for social media. Then, suddenly their name is called and they need to rush to the court to play a match. They may win or lose, but if they do not perform up to their parent’s standard, it will be a rough car ride home or back to the hotel. The "cool" kids that love going to tournaments so they can see their friends usually do not do well. Their mentality and preparation is wrong. For the serious kids, socializing is for outside the tennis facility. For the serious kids, when you are at the tournament, there is one thing to do … win! The next time you attend a junior tennis event, take a step back and see who is hanging around at the courts all day with no purpose. It is going to be the vast majority of kids, but also keep in mind that the vast majority of kids do not have goals and a purpose for why they play tennis. There will be a couple of kids sprinkled around the event away from everyone else warming up, stretching, re-gripping their rackets and maybe listening to music in a quiet secluded setting. They are not around many other kids socializing and listening to all the noise around them. These teenagers are there at this event and have a purpose. My tennis background was training with a couple of Argentine disciplinarian coaches, from six-years-old all the way to 26-years-old, who produced some of the best amateurs and professionals in the United States. Tennis, for me, was a blast from day one, and I was obsessed with everything about it. I had two main coaches who truly cared for their students. They trained you multiple hours every day and were truly there to produce a champion. Tennis was a way to better my life. I felt the love from my coaches because they knew I would run through a wall to win a point or perform a drill properly. When there is this mutual desire by both parties to go the extra mile, there was no way I could not be a serious, prepared tennis player at any tournament. To goof off at a tournament meant that I did not respect what they were doing for me, and what my mother was doing for me, since there were tremendous sacrifices to see how good I could be. I was a reflection of their phenomenal teachings, and I would not let them down if I could avoid it. Playing junior tennis in Florida in my generation was very difficult, as the talent pool was large. If you did not prepare well in practice or in the tournament arena for your matches, you were not going to be successful. I would watch some of the top players and I knew that to ever beat them, things had to be done properly. I knew that if something was off with my game, it would be a quick match and I would not win. These players would be away from the rest of the competition at events, and you knew they were getting ready for a prize fight. There was no socializing for these players. They were there for one reason, and that was to win. When I went to tournaments, I rarely stayed at the tournament hotel because, for me, the competition took place on the courts and I did not want to spend time or socialize with the competition outside of the "boxing ring." In closing, if you ever wonder how you fulfill your potential in this game, it is to perform many aspects of preparation well, but to have the proper guidance so that your goals can become a reality. I am not saying that your child should not socialize, but the tennis facility is there for tennis. The socializing for the serious children is outside of the tennis facility. It is very easy to see who these focused children are at a tennis tournament. 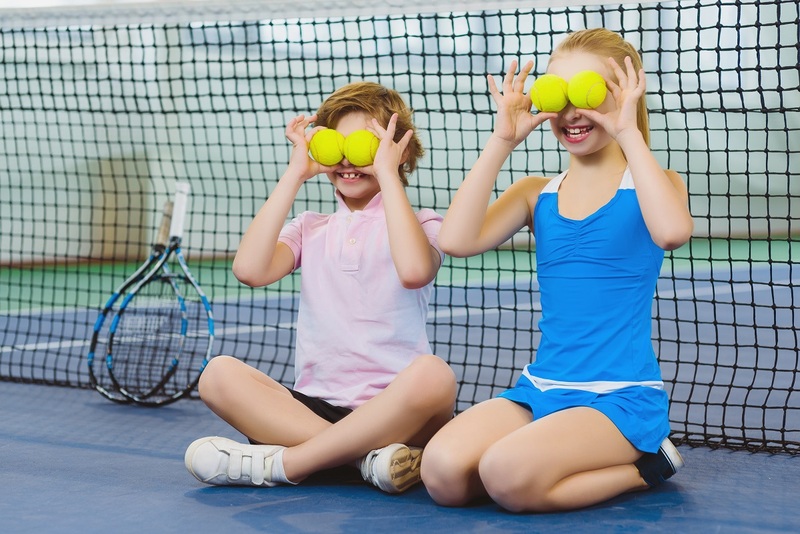 What many children and parents need to realize is that tennis can open countless doors, and the skills they learn on the tennis court can be lifelong. Many of these skills are not taught by studying out of a book in a school. There are kids all over the globe trying to get college scholarships or make it on the ATP or WTA Tour. What separates your child from the rest? Remember, if it were easy, everyone would be doing it. Todd Widom is a former top 200 ATP professional in both singles and doubles, and owner of TW Tennis, South Florida’s top small group/private tennis training geared exclusively for the high-performance junior, collegiate or professional tennis player. Todd may be reached by e-mail at Todd@TWTennis.com or visit TWTennis.com.